Collaborative project with Kane Wills. 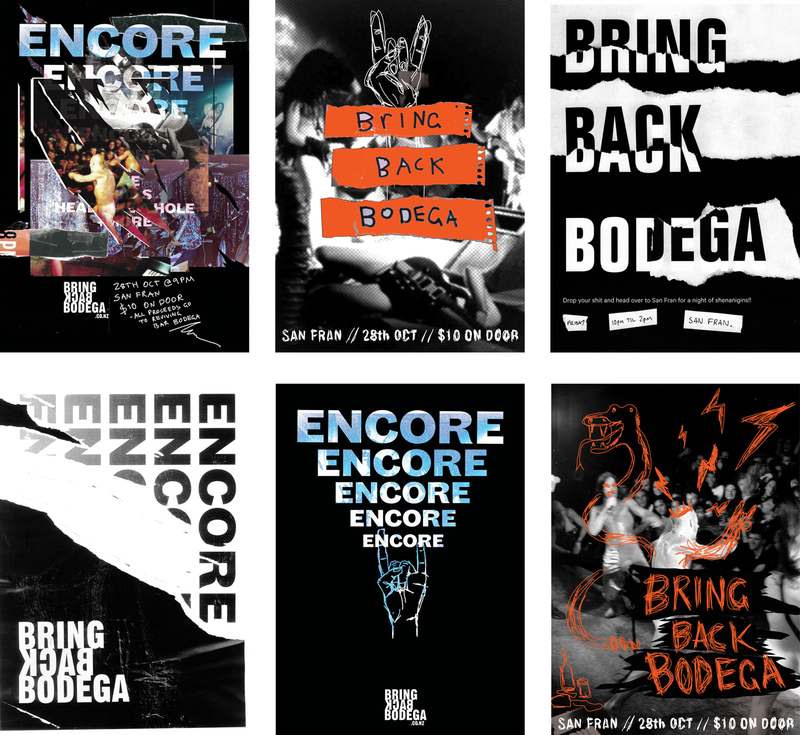 Bring Back Bodega is a transmedia campaign aimed at reviving the popular Wellington bar and live music venue, Bodega. 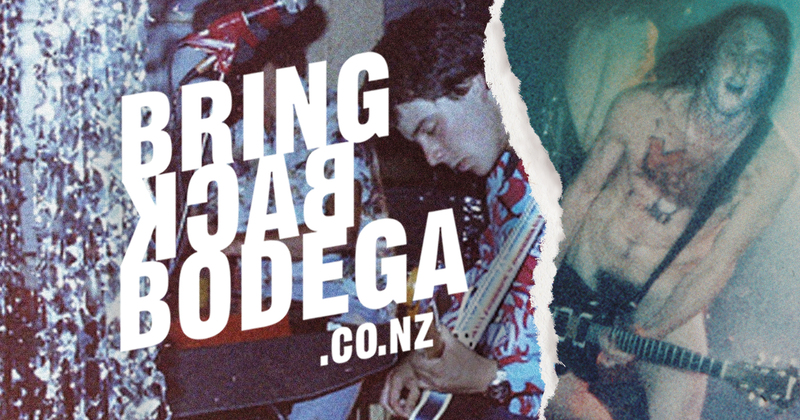 For this campaign, we looked to Bodega’s rich history and synthesised visuals from the 90’s NZ punk scene with contemporary design strategies. 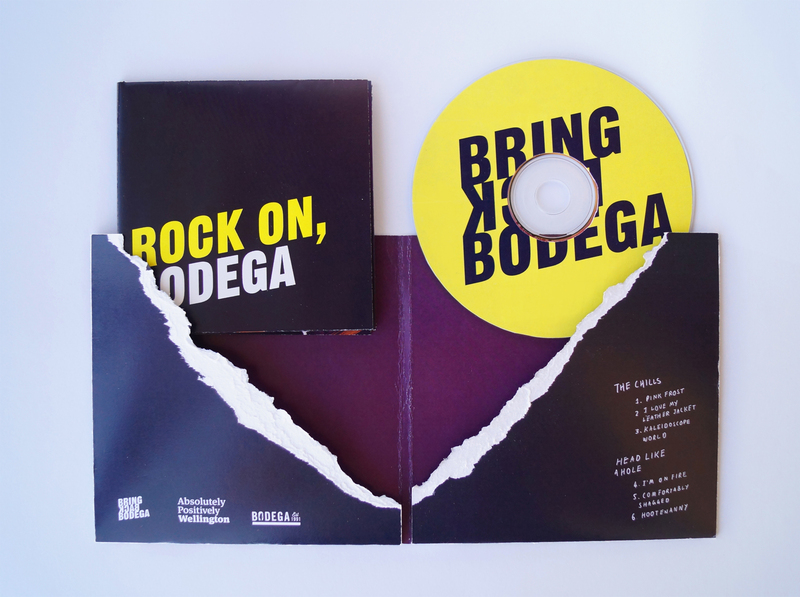 Towards the end of this project after we had established our rhetoric and visual direction I took the lead in handling the printed aspects of the campaign; the CD takeaway and poster. 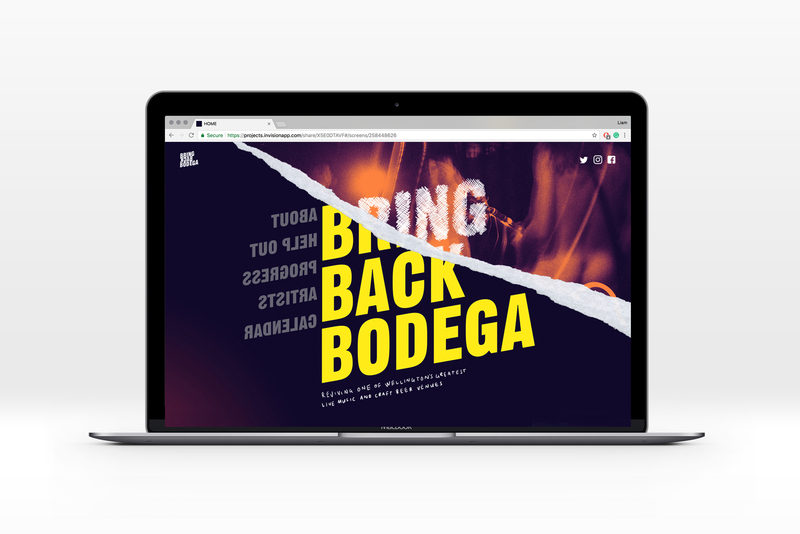 The website is the perpetual touchpoint in the campaign, acting as the hub for all the collateral information. 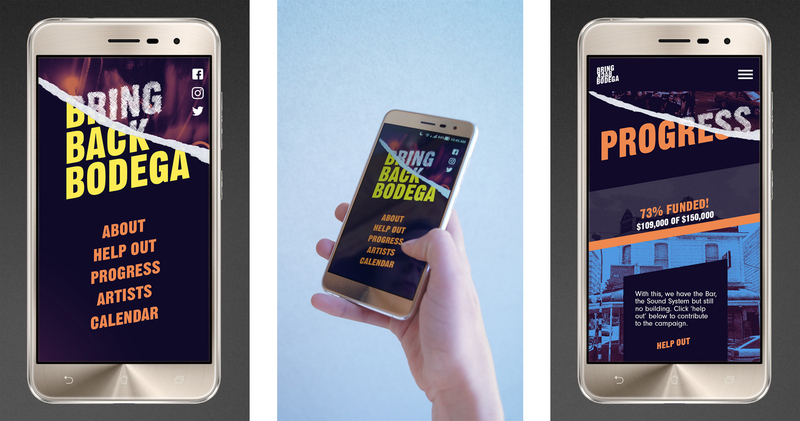 This touchpoint is crucial for attracting a younger audience to get behind the bar, and for this reason a mobile version was also created. 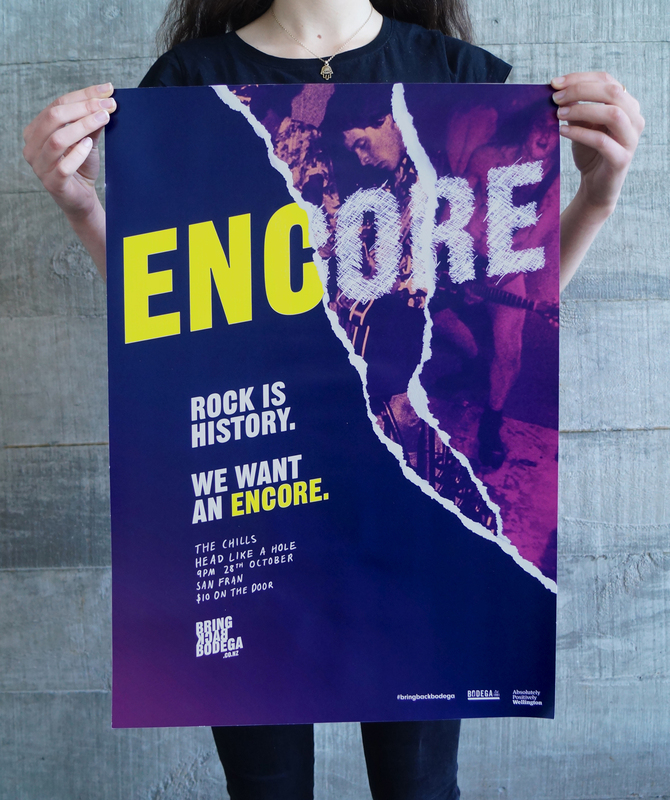 Early visual research into the 90's NZ live music scene followed by our initial poster concepts as we began to develop our rhetoric and style.